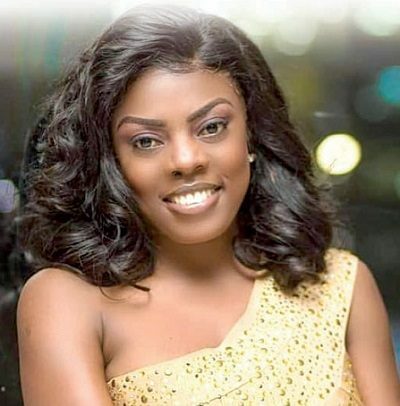 Broadcast journalist and GHone TV news anchor, Nana Aba Anamoah, has registered her disappointment in the Minority in parliament for describing the newly-elected Ayawaso West Wuogon MP, Lydia Alhassan, as a “bloody widow”. According to her, she feels appalled by the fact that such an unpleasant description is coming from Members of Parliament (MPs). Members on the Minority side, mainly from the National Democratic Congress (NDC), on Tuesday, February 5, 2019, staged a walk-out during the swearing-in of Lydia Alhassan. The Minority went on to display placards with the inscription ‘bloody widow’ in order to register their displeasure against the swearing-in of the newly-elected MP. The inscription on the placards attracted a lot of backlash from Ghanaians for attacking the woman. Nana Aba also expressed her disgust at how someone actually managed to sit down and “racked his or her brain” to come up with such a tag. “Someone sat down in the middle of the night, racked his/her brain and came up with BLOODY WIDOW?. And the Minority caucus thought ‘Oh, what a genius!’ oh Lord. NDC MPs no try for this one,” she said on Twitter. “No no no. I don’t understand. Whose father/mother came up with BLOODY WIDOW for the Minority? she asked.